Time flew by once again (as it does when you’re having fun! 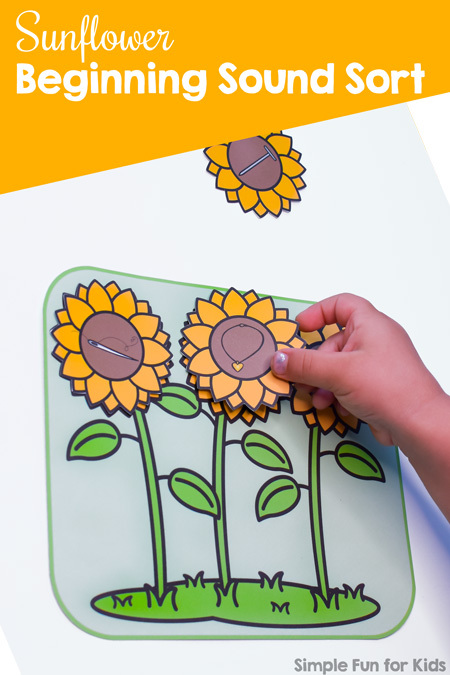 ), and we’ve already made it to the end: It’s day 7 of the 7 Days of Sunflower Printables for Kids series! To finish the series, I have a Sunflower Kids Roll and Cover Game for you. When you sign up below, you get a one-page, no-prep printable. 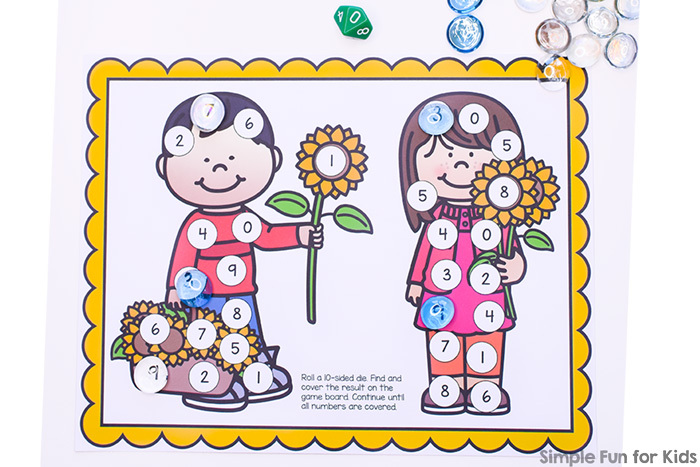 It’s a game board with two cute kids holding sunflowers and numbers from 1-10. Instructions on how to play are included right on the game board. You can play this game either solo or with a partner either competitively or cooperatively. Simply roll a 10-sided die and cover a matching number on the game board with a manipulative OR use a marker to color in the circles. Continue until all numbers are covered. 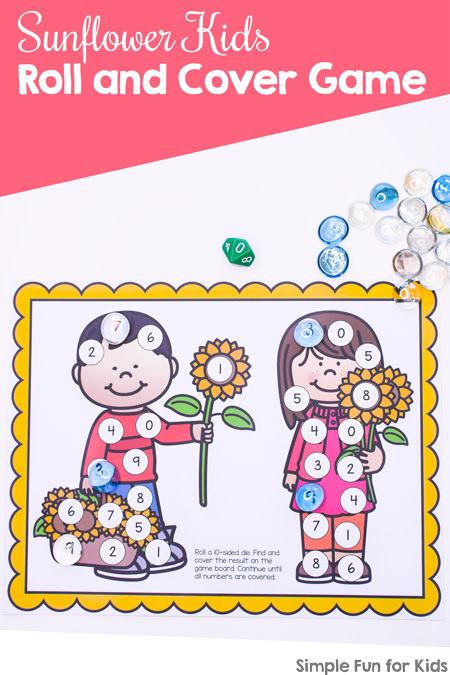 Download your Sunflower Kids Roll and Cover Game!